Thanks Melissa! I'll check them out! Congrats on winning!! I have several Ella books, but my absolute favorite two are Lisa Dickinson's "Design Workshop" and Donna Januzzi's "Stretch Your Sketches." Thanks for the mention, Melissa! I have several Ella eBooks, too. 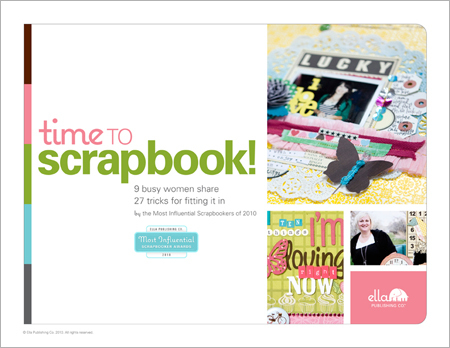 One of my top picks would be A Year in the Life by Write.Click.Scrapbook. Plus, I've only had it for a few days, but I think Scrapbooking the Everyday is going to be a favourite, too.